Nothing says it’s Halloween season more than seeing candy corn appear on store shelves. The white, orange, and yellow sugary staple is not only the quintessential Halloween treat, but also a perfect inspiration for fall-themed crafts, gifts, and décor. If you’re looking bring more candy corn into your life but without the sugar high (and crash! 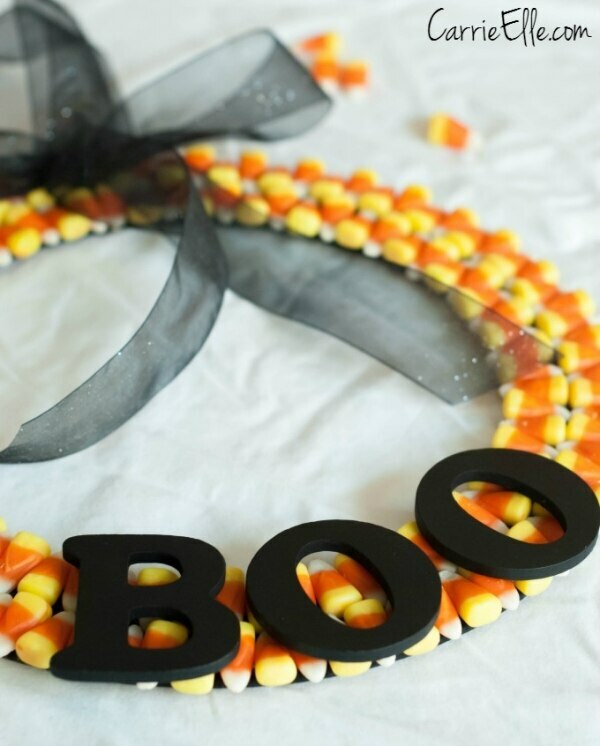 ), try out one of these 21 adorable candy corn craft ideas that will infuse your home with the iconic image of the season! If you’re looking for edible candy corn-inspired treats, check out this list of 15 delectable ideas! 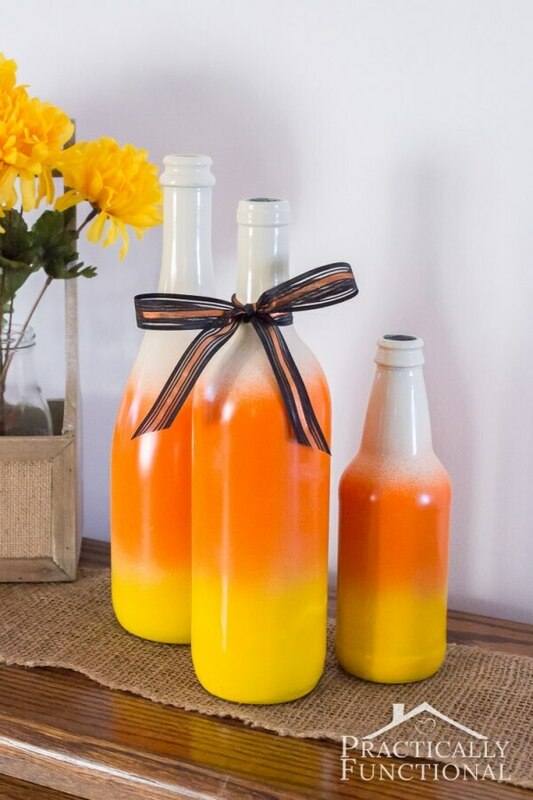 Combine white, orange, and yellow in paint or fabric and you’ll instantly conjure up images of tasty candy corn all around your home. Source: Who Needs a Cape? Add paint to one of nature’s finest creations to make the ultimate fall-inspired accessory. 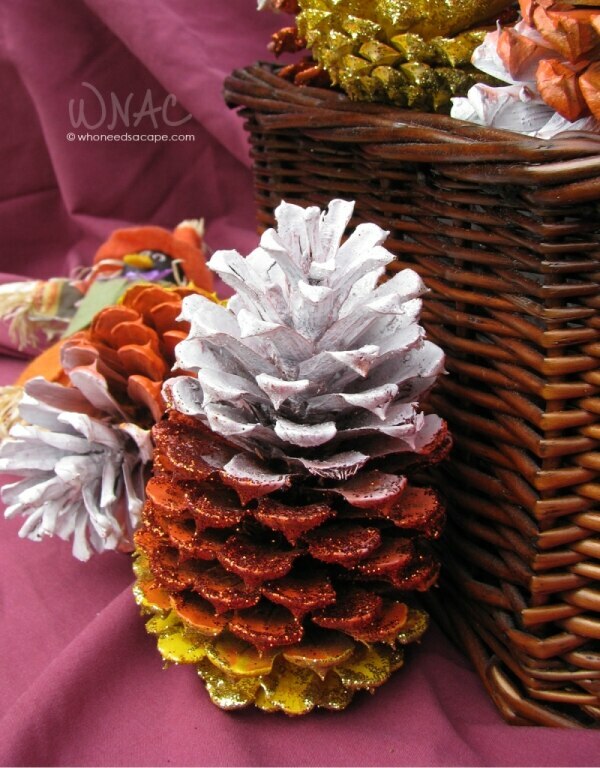 These pinecones are perfect for centerpieces, wreaths, vases, and more. 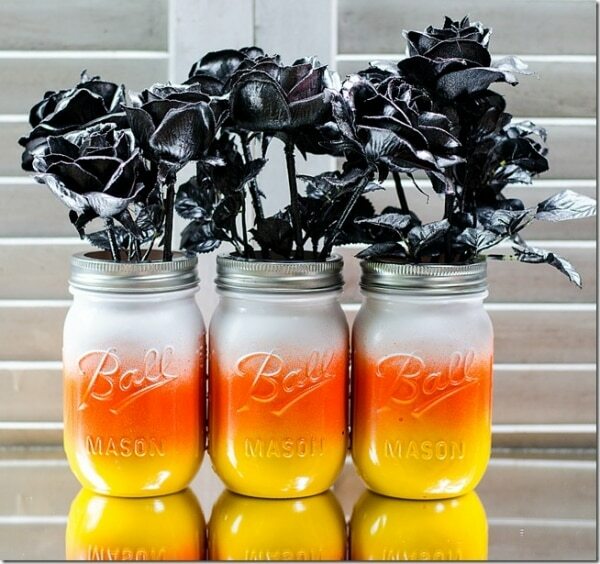 Spray simple mason jars in white, orange, and yellow paints to create vases for holding frightful flowers. Use the festive candy to adorn a simple wreath form to make a sweet front door accessory. 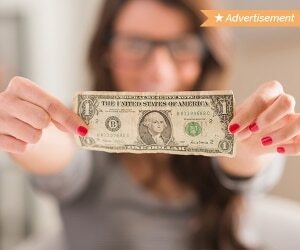 Just be sure to finish it with a protective coating to keep bugs at bay. 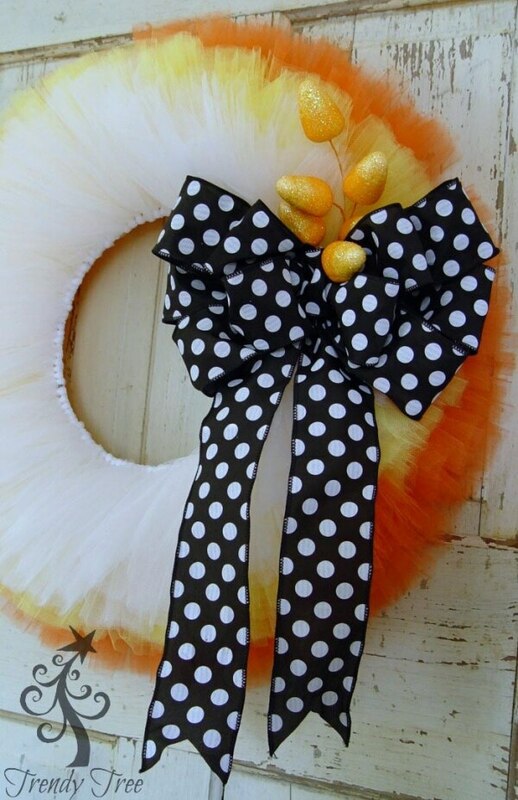 If you want a candy-corn inspired wreath without the candy, layer cuts of tulle on a wire wreath form to create a fluffy yet just-as-sweet version! 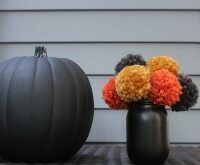 Paint inexpensive burlap in candy corn hues and then trim into triangle shapes. 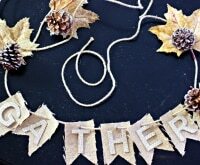 String them up to create festive bunting for your mantel. 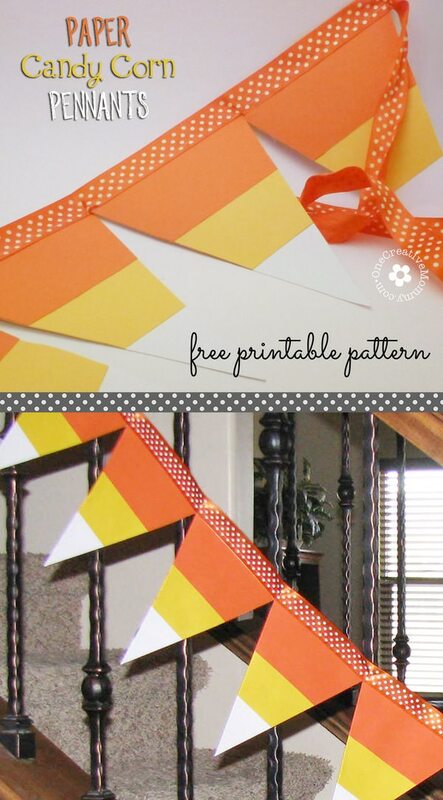 A triangle pennant banner lends itself wonderfully to the iconic candy corn. 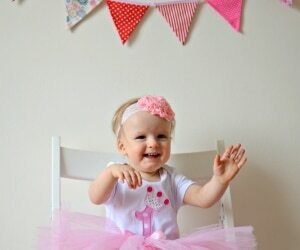 This tutorial takes all the measuring and guesswork out with a free printable template. 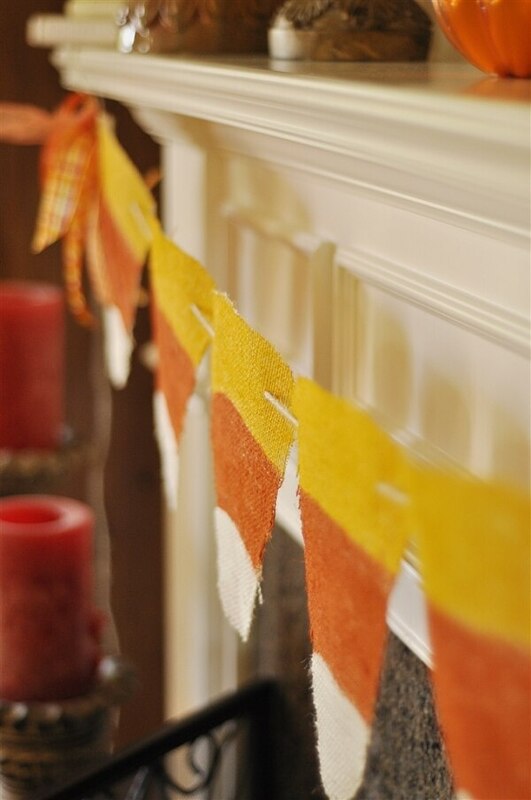 If yarn is your thing, here’s a candy corn bunting project that comes together quickly and will add some lovely texture to your fall display. 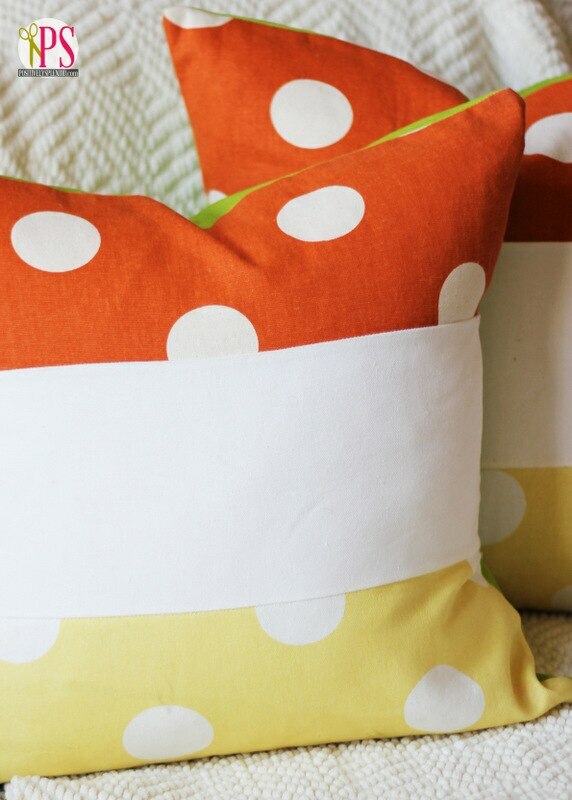 Sew strips of orange, white, and yellow fabric together to create adorable pillows that subtly nod to this Halloween candy. Depending on your décor, these adorable pillows could be used year-round! 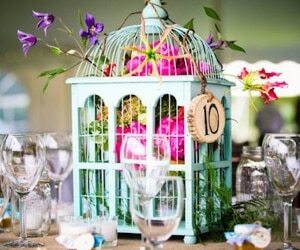 Old wine and drink bottles become the perfect decorative accessory thanks to a little spray paint. Change up the bottles sizes to create a fun visual display. 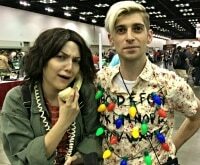 Use up that button stash by making this simple festive artwork. 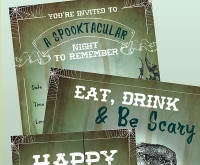 Start by cutting a paper template and then fill with buttons to complete the image. 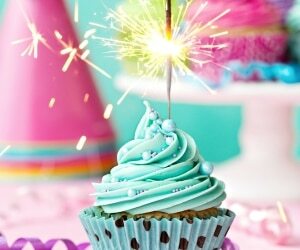 Create bright and festive candle votives by wrapping mason jars in colored balloons. 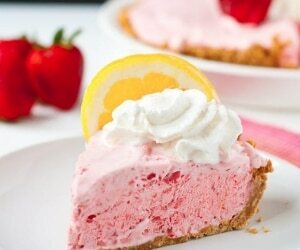 When lit, they create a candy-colored display! 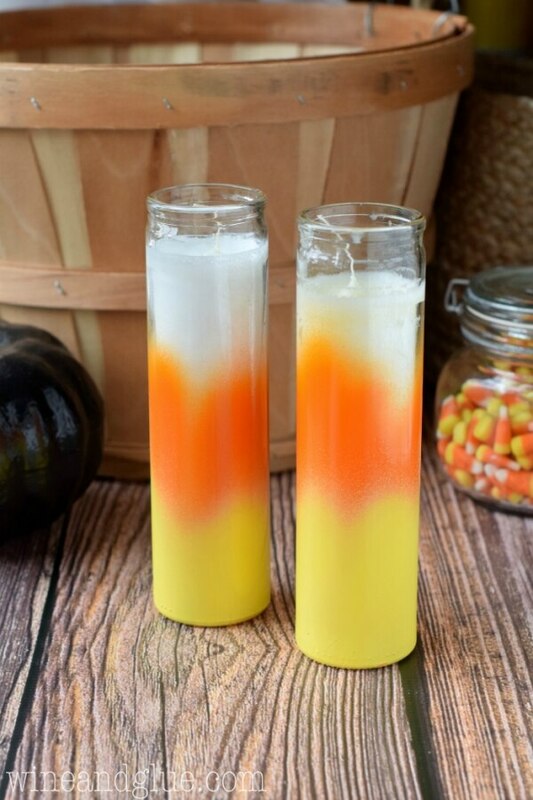 Simple and inexpensive white candles get a seasonal makeover with some orange and yellow paint. 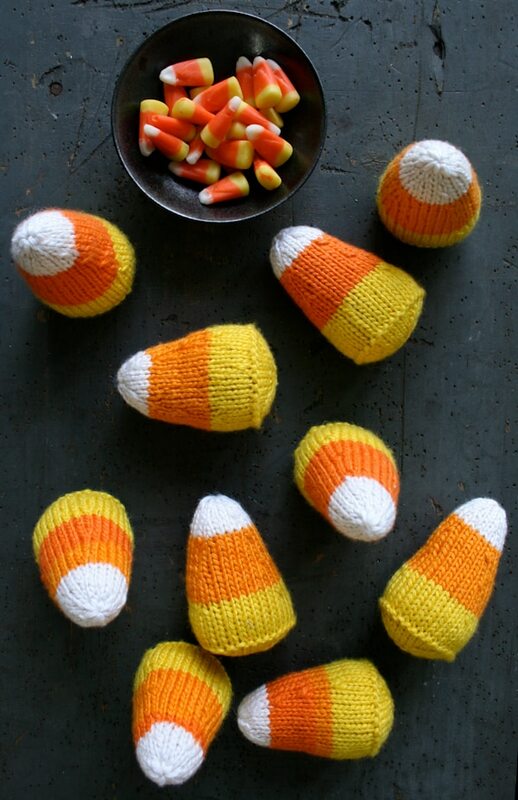 Who doesn’t need a bunch of knit candy corn around the house? 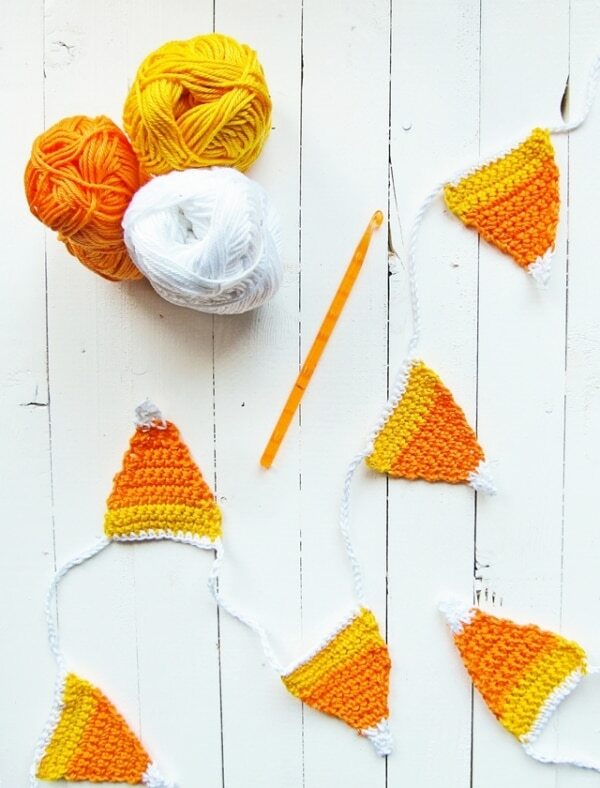 Get those knitting needles in motion to make a set of the coziest candy corn you’ve ever seen! 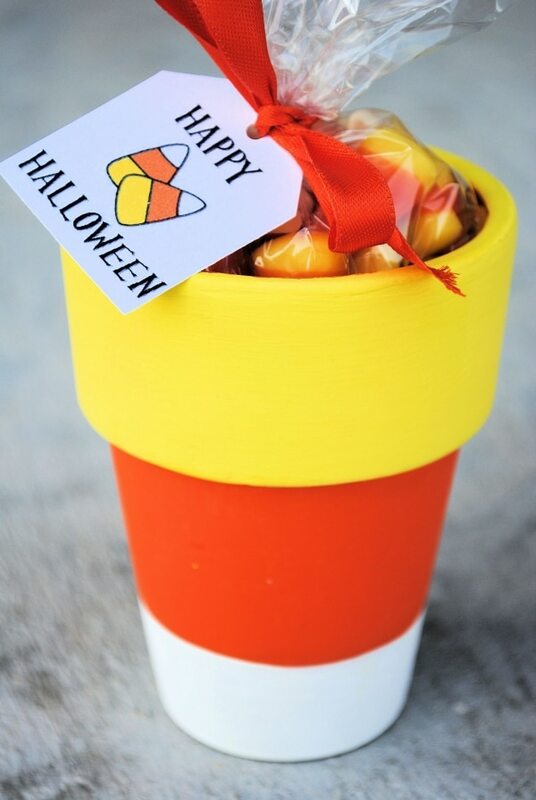 The shape of candy corn naturally lends itself to adorable bags and buckets for other festive treats. 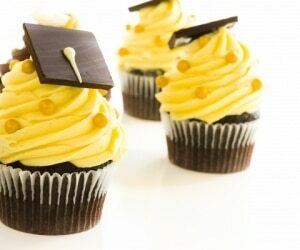 Try one of these sweet creations as a teacher, coach or neighbor gift! Get more great treat bag ideas here! 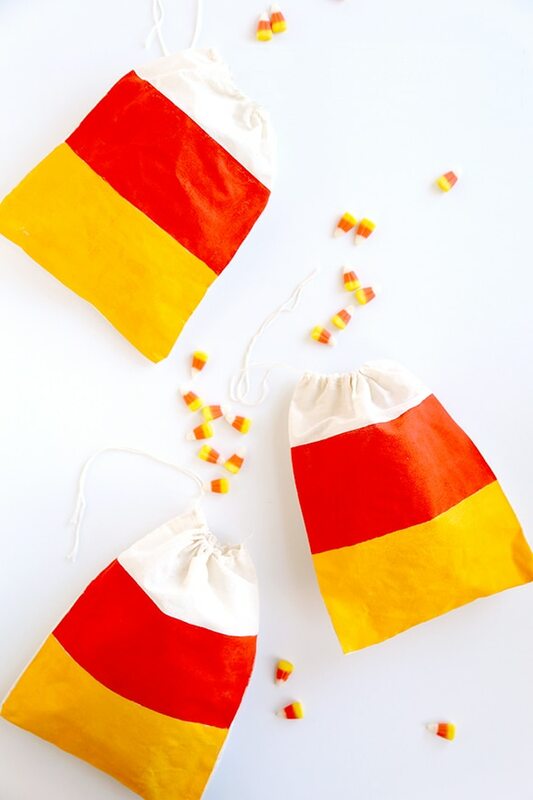 Painted stripes on simple white sacks make the perfect trick-or-treating sack! 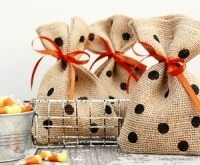 Need more treat bag ideas? 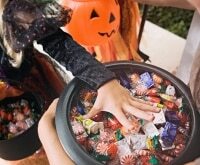 Check out these amazing trick-or-treat bag crafts! 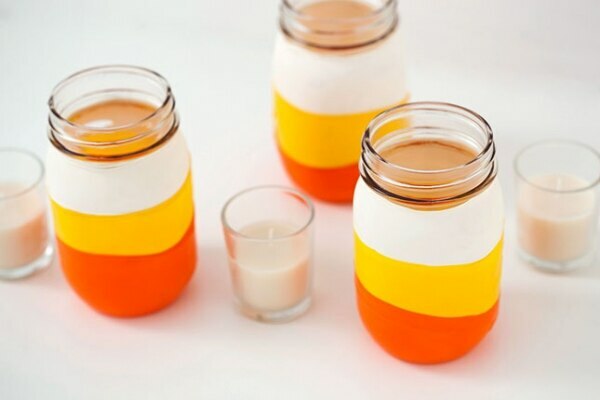 Fill mini mason jars, painted to look like candy corn with basic acrylic paint, with candy corn and pumpkins for a simply sweet gift. 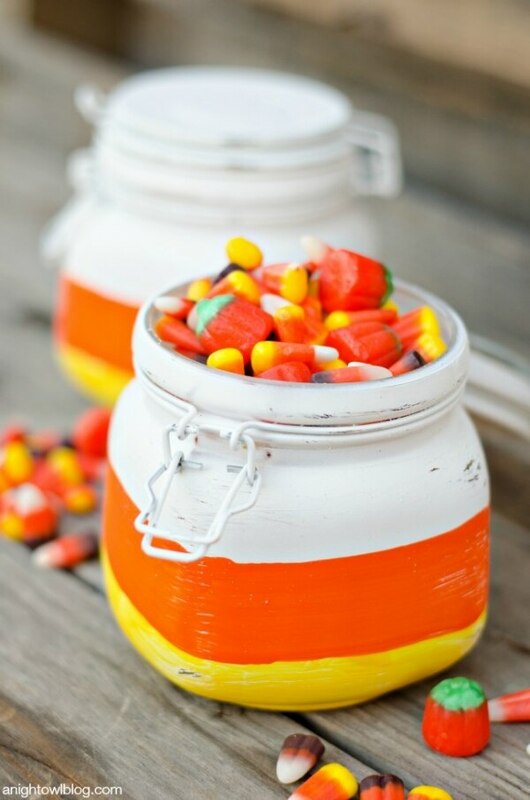 Traditional clay pots are the perfect shape for candy corn-inspired crafts. 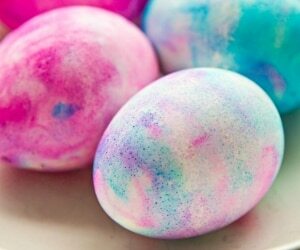 Add stripes with bright acrylic paints and fill with your favorite treats. 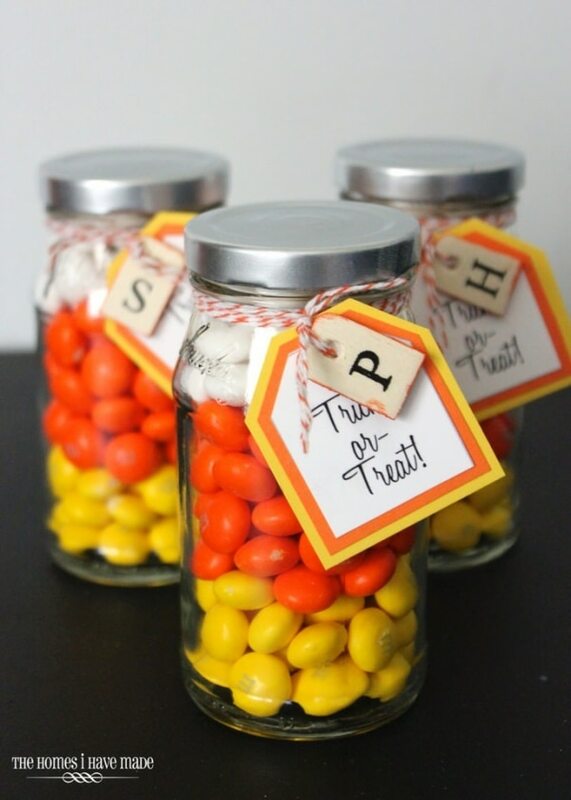 Old jelly jars are made to look like candy corn, not with paint, but with colorful M&M’s® inside. Add a monogrammed tag to make them truly personalized gifts! 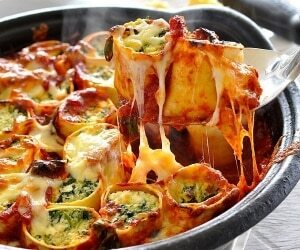 Check for M&M’s® coupons to save on these colorful, tasty creations! 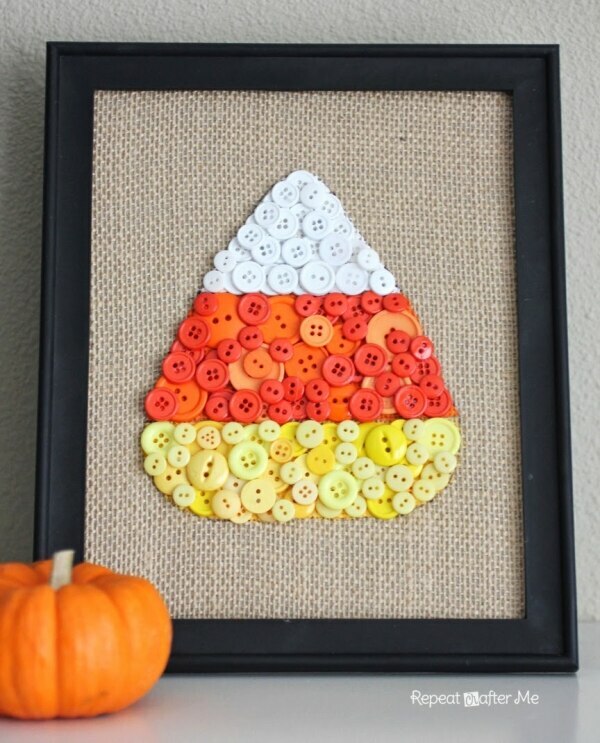 Thanks to their vibrant colors and triangle shape, candy corn-inspired crafts are great for little ones. 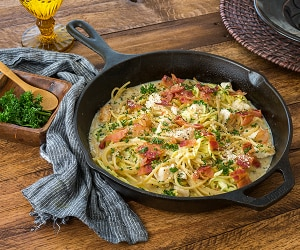 Here’s a few of my favorite finds! 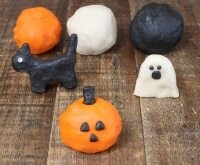 Want more fall-themed ideas to keep little hands busy? 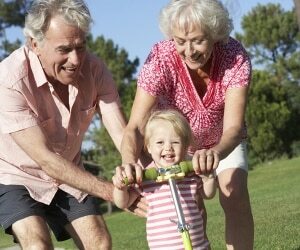 Here are 25 fall crafts for every age and skill level! 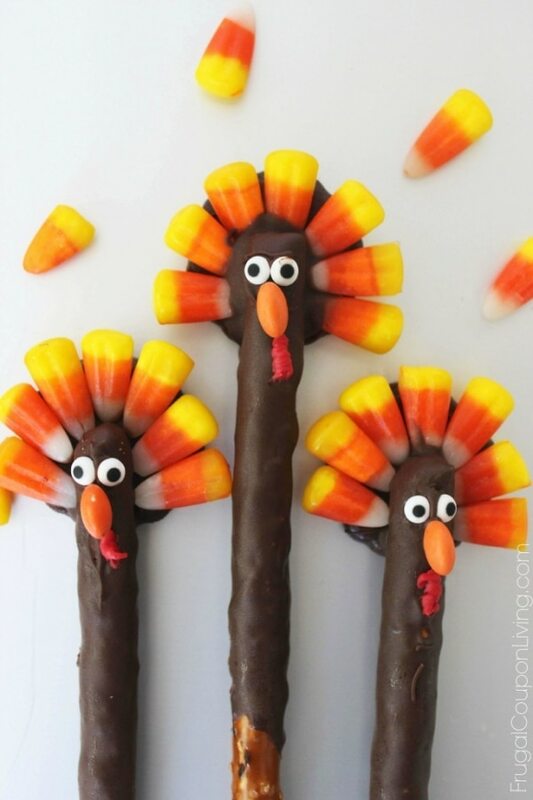 Give the kids a good giggle by creating adorable turkeys out of pretzel sticks, chocolate, and everyone’s favorite: candy corn! 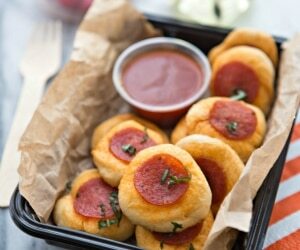 These are perfect for school and family parties all season long. 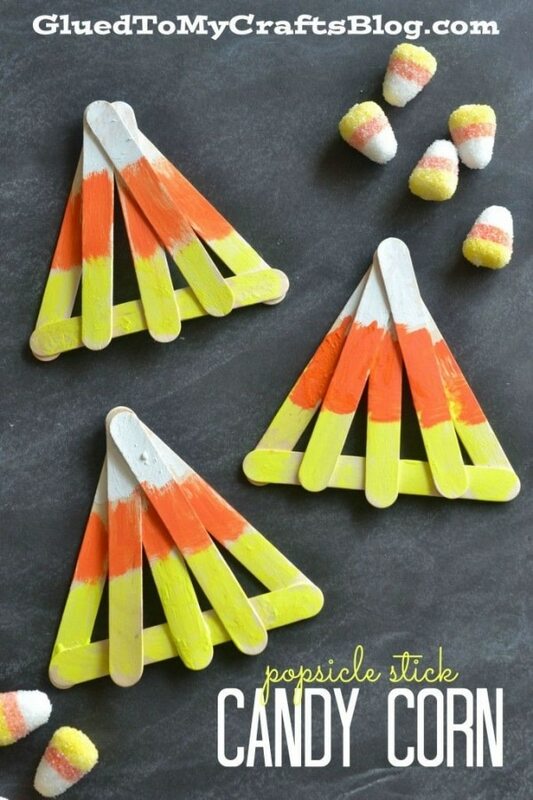 Create some candy corn from craft sticks and paint. This is a great activity to keep little hands busy, and the candy corn creations can be strung up to decorate all over the house! 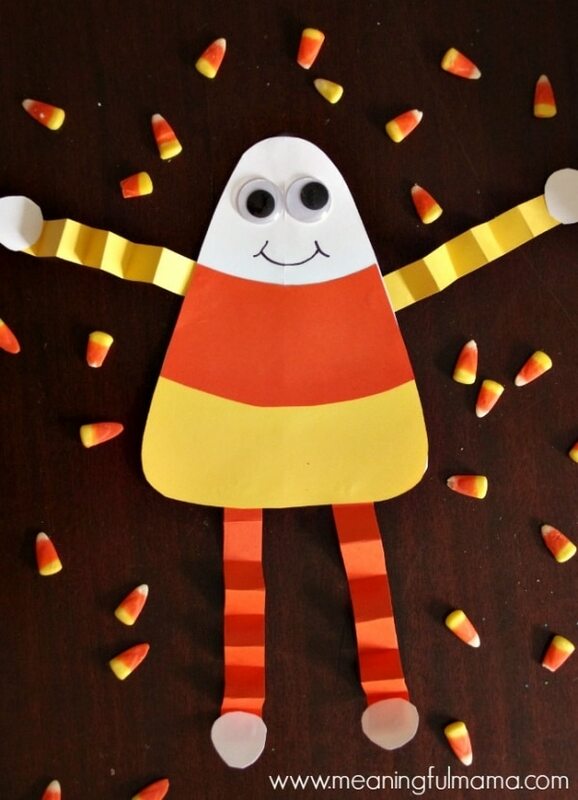 With paper and glue, craft up some adorable candy-corn friends. 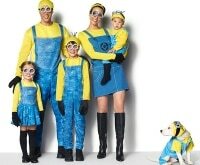 Make a variety of sizes to create a whole family — just don’t forget the googly eyes! 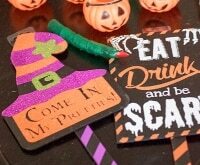 Save all your Halloween leftovers to create fun crafts for Thanksgiving. 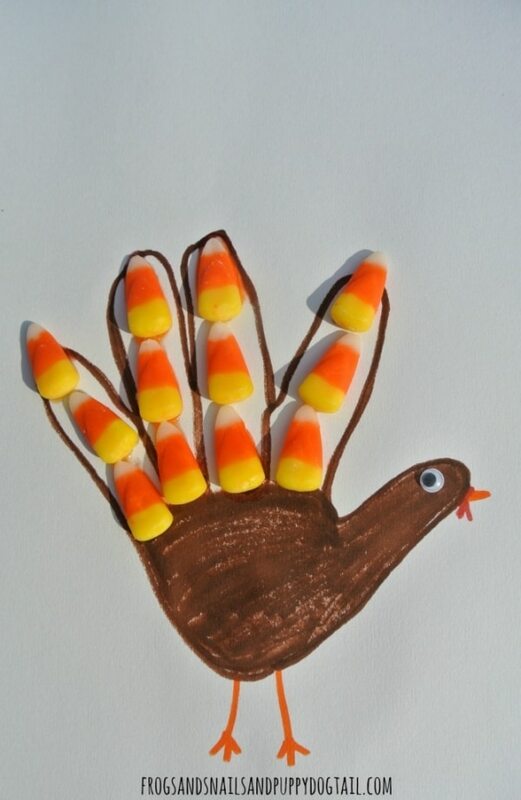 Help little ones trace their hands, then fill the fingers with candy corn to create a pretty feathered bird.